10' dog leash for sm-med dogs. 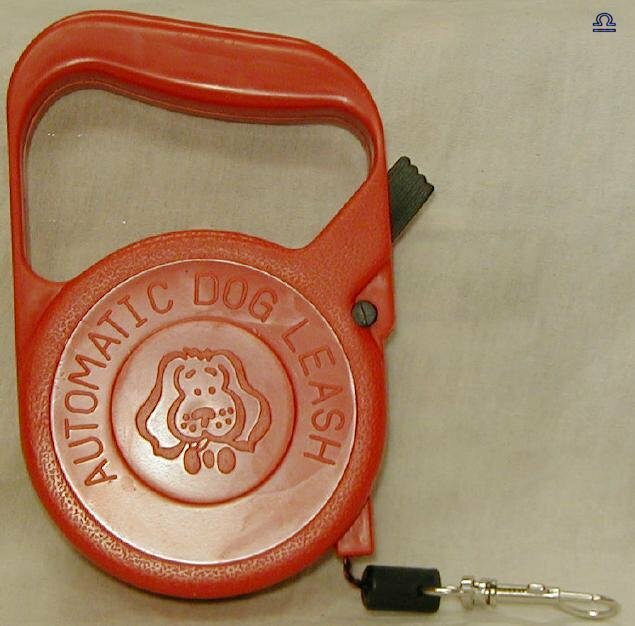 Easy operating button will lock the leash. Heavy PVC case with an easy grip handle.